Crocus la Sillardiere, who boasts very good conformation, is a son of the world-renowned jumper Conrad de Hus, now known as HH Conrad. Under Gregory Wathelet, the Con Air son Conrad de Hus was among the world’s best jumpers. Winning the silver medal at the 2015 European Championships in Aachen was the sire’s ultimate highpoint, after which he was sold to Double H Farm. 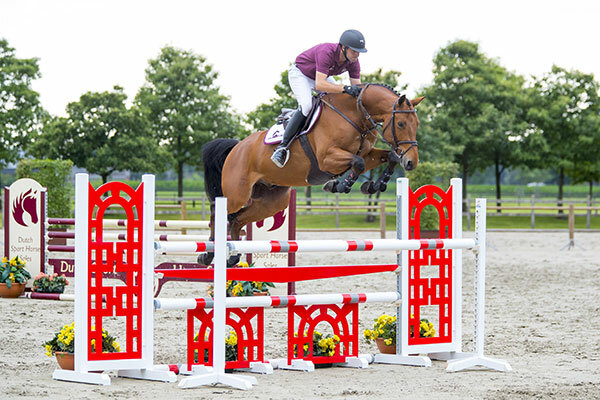 He is successfully continuing his sport career as HH Conrad under Quentin Judge. 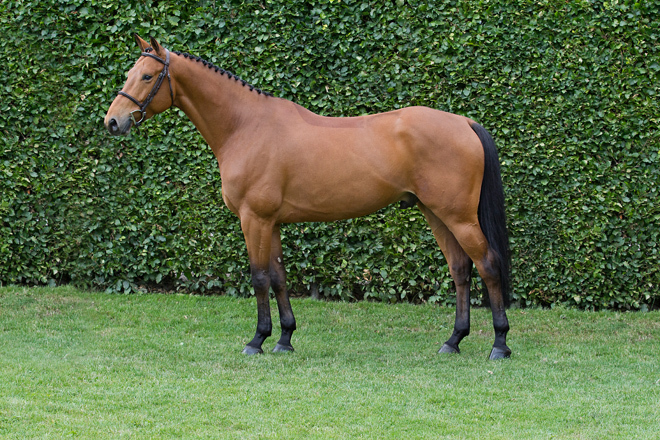 Crocus la Sillardiere’s grandsire Cardero, who carries the blood of Coriano and Ahorn Z, competed at the Grand Prix level under Julien Epaillard and Marc Dilasser. Last winter season, Crocus la Sillardiere garnered acclaim in the young horse classes in Oliva. A very complete horse with an excellent way of jumping, Crocus la Sillardiere is definitely an interesting horse to follow in this collection.